Garage doors can be a dangerous thing. We all have heard reports of children getting caught under a garage door. There have been many injuries and even deaths. It is a sad thing, but it is one that can be avoided. We, at Tustin, CA, Garage Door Sensors Company push the need for everyone to have safety sensors put on their garage doors. We will install these safety sensors at a low cost. We will assure that they are installed properly and are in perfect working condition. If there is ever a problem with the way they are working, we will gladly come out and repair them for you. Safety sensors work by halting and reversing the door, if there is an object underneath it. Take a minute to consider the weight of garage doors. Some of them may even weigh three or four hundred pounds. Now, think of a small child, who weighs less than a hundred pounds lying under that door when it comes crashing down. It is definitely not a pleasant thought. We all know how children can be. 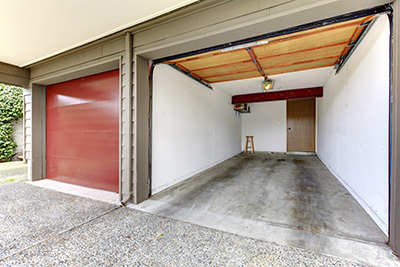 Having safety sensors will decrease the chances of the garage door ever closing on a child. These safety sensors are also called photo eyes. What these eyes do is detect if anything is under them. If there is, it will reverse itself. There are laser lights that must come in contact with each other to close correctly. When they do not meet, then the door will reverse. These sensors are a must for your garage doors. If you already have sensors and you notice they are not working right, then you need to have them repaired. Allow our professional technicians to come out and talk to you about these safety sensors. We can tell you all of the different options that you will have with these safety sensors. Our technicians are trained in all areas of garage doors. This is an important thing because you need to have the safety sensors installed correctly for your safety.